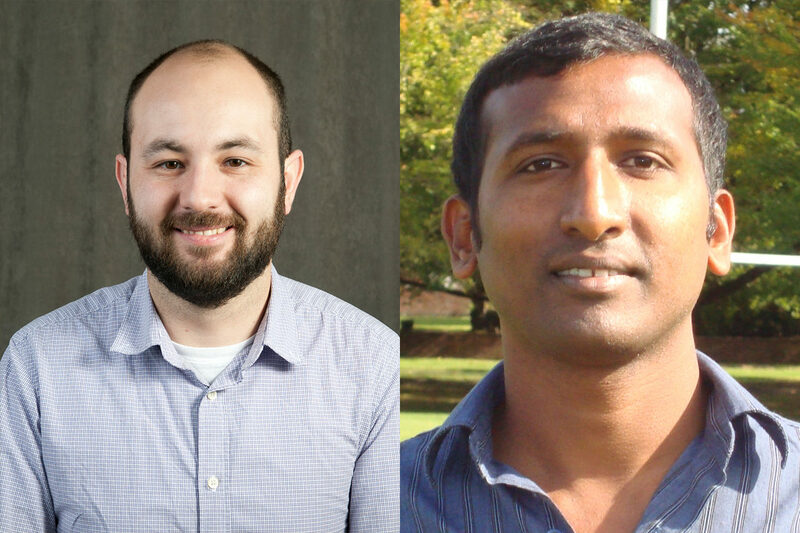 Two Washington State University researchers have received faculty Early Career awards from the National Science Foundation. Arda Gozen, Berry Family Professor in the School of Mechanical and Materials Engineering, and Jana Doppa, Berry Family Professor in the School of Electrical Engineering and Computer Science, each received the five-year awards. The grants are intended to provide significant research support to young faculty beginning their careers who have the potential to serve as academic role models in research and education. Gozen is working to improve manufacturing methods of polymer nanocomposites. Industries increasingly use nanoparticles in materials as a way to improve their properties. Adding miniscule flakes of a material such as graphene to lightweight, mechanically tough, and flexible plastics, for instance, can make those plastics stronger or able to conduct electricity or heat. These composite materials are of interest in many emerging technologies, such as energy storage, biochemical sensing, flexible electronics, and artificial tissue engineering. But, these materials aren’t always reliable because the conventional manufacturing methods used to process them lack the level of precision needed to control their final properties. Gozen has been working to develop a more reliable manufacturing process for nanomaterials using additive manufacturing, also known as 3D printing. In particular, he is using direct-ink-writing, in which a nozzle controllably dispenses polymer nanocomposite “inks” at tiny scales layer-by-layer, allowing high precision and accuracy in materials design. As part of the $500,000 grant, Gozen will be incorporating additive manufacturing techniques into the mechanical engineering curriculum to train the next-generation of engineers with skills in-line with the recent trends in manufacturing industry. Gozen will be working with WSU’s 3-D Printing Club to test, implement, and demonstrate novel manufacturing methods and materials to the community. Doppa, meanwhile, received a $550,000 grant to develop algorithms to support scientists and engineers in their decision-making and experimental design process. In many science and engineering fields from computer chip design to discovering materials and studying microbiomes, problem solving is complex and multi-faceted. Understanding complex systems with many variables combined with experimental data often include too many factors for humans to consider. Scientists often have to rely on intuition to make their decisions. For instance, evaluating computer hardware designs involve performing computationally-expensive simulations to emulate real hardware. Materials scientists, meanwhile, have to conduct many experiments with real and costly mixes to design optimal materials. The same problem is true for biologists who want to understand complex microbiomes. So researchers combine their domain knowledge and data from past experiments to develop a sequence of experiments to achieve their objectives using minimal resources. “In all of these problems, the design space is very large, and each design is a discrete combinatorial structure or a hybrid structure with a mixture of discrete and continuous design variables,” he said. The CAREER award will support Doppa’s work to develop general-purpose learning and reasoning algorithms to support engineers and scientists, and to streamline experimental processes. He will collaborate with scientists to apply the algorithms, in particular, in the fields of computer hardware, materials, and synthetic microbiomes, helping the researchers decide on the optimal way to conduct their experiments. The work builds on his success in developing algorithms for electronic design automation and computer architecture domains. He received the Voiland College’s Reid Miller teaching excellence award in 2018, and has worked to democratize computer science and machine learning skills for interdisciplinary research. Doppa will be developing a short course on data-driven design optimization and will be working with researchers to develop efficient algorithms with an easy interface. While he is teaching them, he will also be learning and working to improve the easy-to-use algorithms.